a top speed of over 200mph. 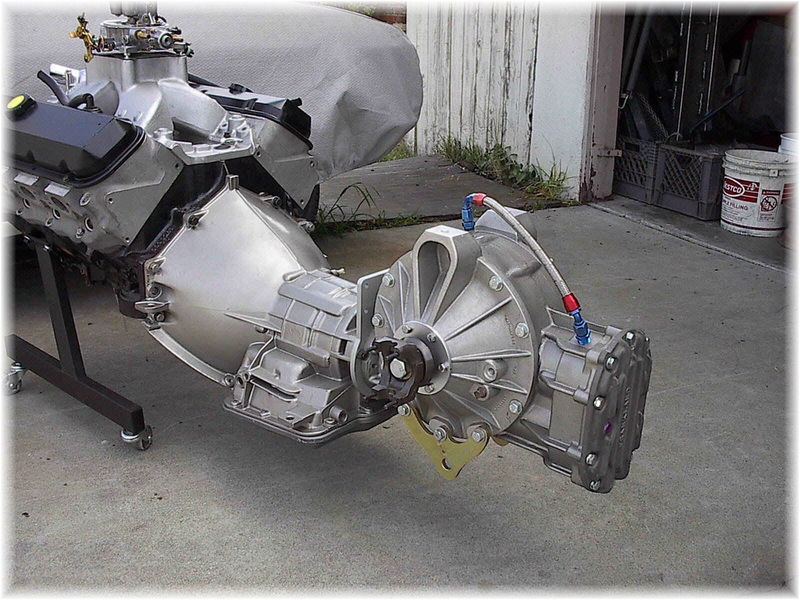 Several iterations of trans-axle and suspension have been developed in conjunction with the SuperVair/R prototype in an effort to diversify and economize production. Archibald Evans grew up with Corvairs. Before his second birthday he rode in a 1960 Corvair sedan owned by his father, Archibald, Sr. The senior Evans was intimately familiar with Corvairs, and not just because he owned one. His investment in the car was much greater than the sticker price. As one of the General Motors engineers assigned to the Corvair project during the mid-to-late-'50s, he invested his career efforts in the development of Chevrolet's rear-engine compact as it was prepared for introduction to the public in the fall of 1959. During his tenure at GM's Chevrolet Division in Detroit, Evans car-pooled to work with a fellow Chevrolet engineer, Ed Glowaki, who at the time was promoting the Corvette racing program within Chevrolet. Stories of traveling perpendicular to the boulevard on the way to and from work with Ed at the wheel of his street driven race Corvette became Evans family folklore. So, we're talking about a father-and-son thing here. Evolution...starting with the excitement and romance of an epic era at Chevrolet being passed down a generation to someone who would carry the torch into the 21st century. The Evans' family Corvair story didn't end in Detroit. Their first Corvair took them to Denver after Evans accepted a job with Martin Marietta to work on the Mercury and Gemini aerospace programs. Later, Evans' work took him to California, and the little sedan was pressed into service carrying the family over the Rockies to a new home in Los Angeles. It was 1965 and time for a new car, and a 1965 Monza was chosen, Sierra Tan in color, equipped with a 140 hp engine, 4-speed stick and factory air-conditioning. The added excitement of the late model Corvair fueled a love affair that eventually included several more Corvairs including the top-of-the-line Corsa. 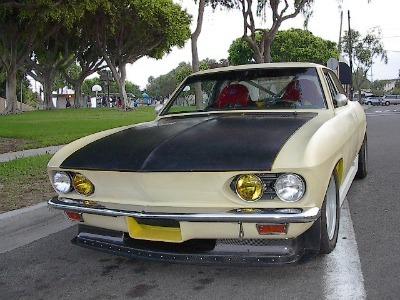 By the time the younger Evans was in junior high school, he wanted to build a really souped-up Corvair. 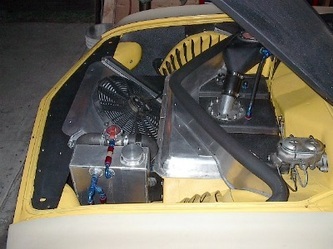 At 18 and against the advice of mid-engine Corvair guru Ted Trevor, he stuffed an Ed Pink big block Chevy engine into the back seat of a late model Corvair sport coupe. 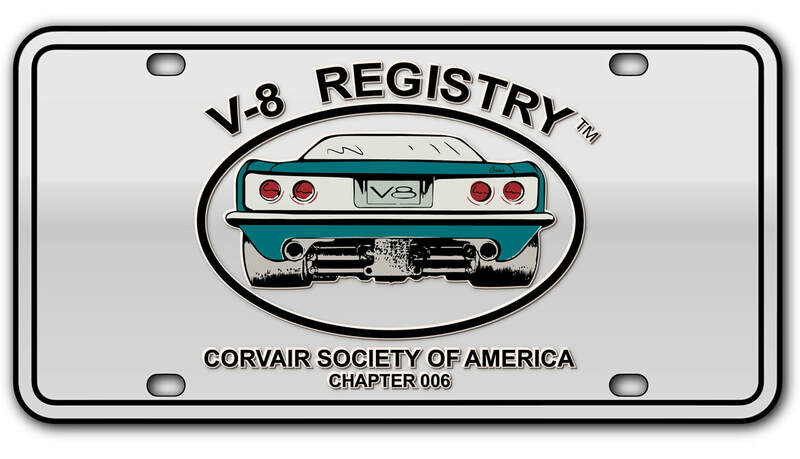 Ted Trevor, as mentioned in the Corv-8section of this site, was the owner of Crown Manufacturing Co., Inc., of Newport Beach, California. In the late '60s, Crown brought a conversion kit to market making it relatively easy to shoehorn a Chevy V-8 into the back seat area of the late model Corvair, adapted to the stock transaxle. Crown experimented with both the small-block (327 and 350 cubic-inch) and big-block (396, 402, 427, 454 cu. in.) and determined the big-block variant was a parts breaker. The torque of the big engine was too much for the 'vair transaxle.Archibald reconfirmed Crown's findings, breaking his share of transaxle components before eventually moving on to a conversion based on a stroked small-block.